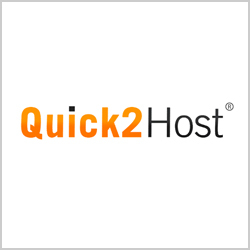 Quick2Host.com is a well known IT company located in Sitapura Industrial Area, Jaipur. It is india’s fastest ISO 9001:2000 Certified Organisation and it was founded 2005 and the directors of Quick2Host are ex-employees of Infosys and TCS. They have 5000+ customers and 350 resellers all over india. They provide super powerful servers that includes shared hosting servers which are equipped with 48GB RAM, 1TB Hard disk, 24 Core, 1Gbps connectivity. They also have 1-minute Restore that means the servers are based on SAN where in real time, a backup replicates the data. In worst case of HD Crash, the site is up in 1 min. They are technically strong team and maintain a ZERO-MBA company, they have only B.E and B.Tech employees and even there sales employees are also of engineering. They respond to support tickets quicker than sales tickets. Quick2Host provides Plesk control panel ,Plesk is a complete multi-level hosting platform Control Panel, giving the server administrator a wide range of graphic-interface options to set up and maintain a whole hosting business serving the end customer. They provide a service to transfer my hosting to Quick2Host.com and they make your domain point to Quick2Host.com servers. There customer support team works 24/7. Customers can contact their support team by opening a ticket or giving a call or using their live chat system on their website. 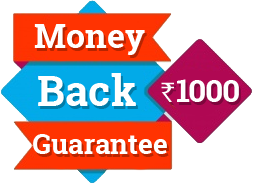 Quick2Host services are of best quality. Their packages are affordable and include multiple features. Quick2Host team members are very professional in handling problems. I had contacted their team, and their involvement is very fast to help clients. Finally, Quick2Host is best for web hosting. I have been using Quick2Host for 6 months. Overall good for the price, I have not faced any big issues a well as downtime. Their prices are also quite well compared other service providers. Some of my friends suggested me to use Quick2Host for my website. But after using their service I was impressed. Their services are the best compared to other hosting companies. Good uptime, speed, and features are provided by quick2host.